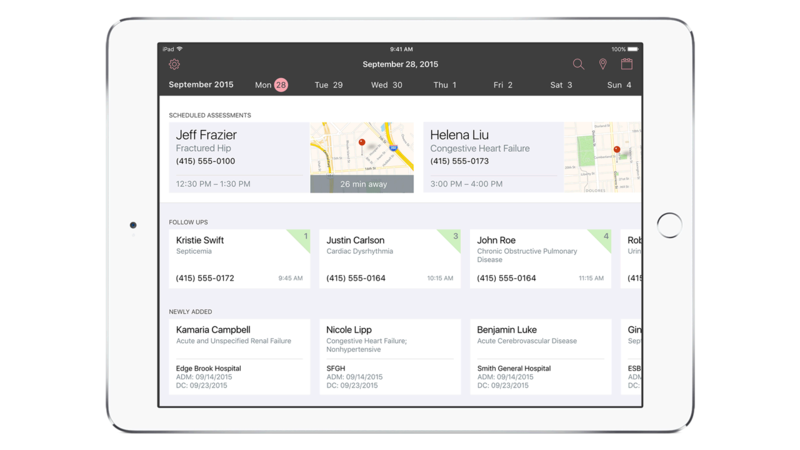 The convenience and speed of IBM MobileFirst for iOS Case Manager provides a central area for managing, collecting, updating and closing case information and visits. GPS, messaging, photos and texts enhance assessments and health records with personalized patient information for efficient healthcare. Visits grouped by type focus attention on today’s tasks and priorities, with maps and directions always on hand. Case histories, diagnoses, care plan status, notes, photos, physicians and policy information – with HIPAA data – are at your fingertips. Perform assessments, adding relevant information such as photos or notes to the Member's case to provide data in context for personalized care. A unique support plan provides Apple phone help around the clock combined with IBM next-day service to handle any issues.